Sparky And The Talking Train (1947) was Sparky's first adventure on Capitol Records. It was a fantasy story, without the musical or educational element which marked Sparky's Magic Piano, which became the best-known of all the Sparky stories. 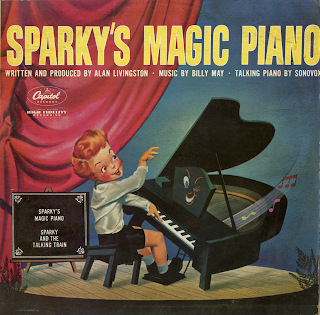 Sparky's Magic Piano is the second in a series of children’s audio stories featuring Sparky, an original character created for Capitol Records in 1947 (released in 1948). Sparky is a little boy with an overactive imagination. His adventures involve objects which magically come to life and talk to him. Sparky was portrayed by Henry Blair. 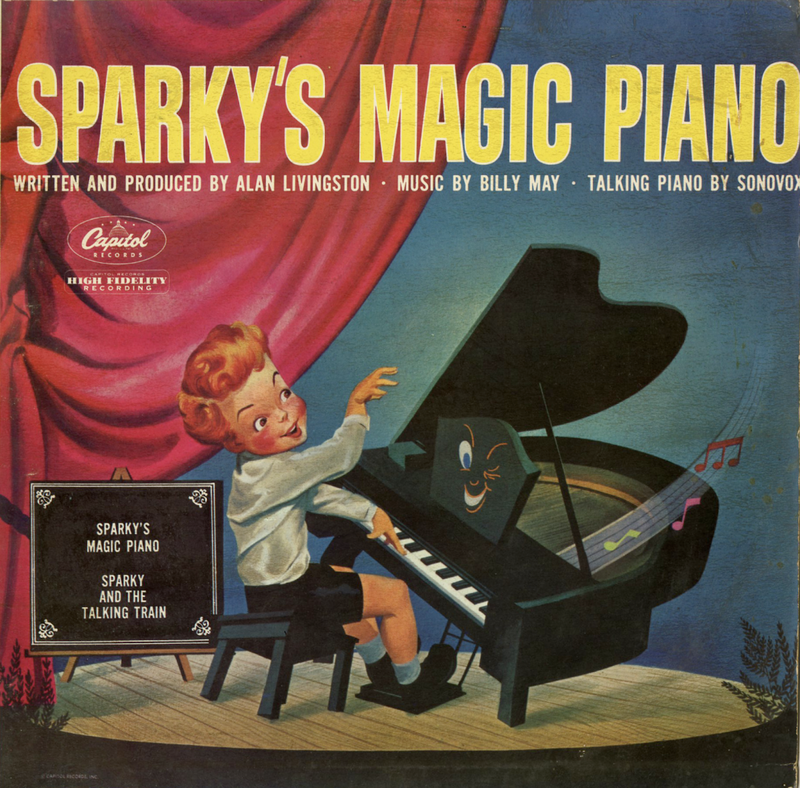 The piano pieces on Sparky's Magic Piano were performed by Ray Turner. Narration was by Verne Smith and the music was by Billy May.